Even amongst other medical specialists, it remains common for these professionals to view pediatrics as an unserious profession. This might serve as a reflection of the kid wallpaper that adorns the walls of the office, or the fact that pediatricians certainly do diagnose any number of runny noses each year. 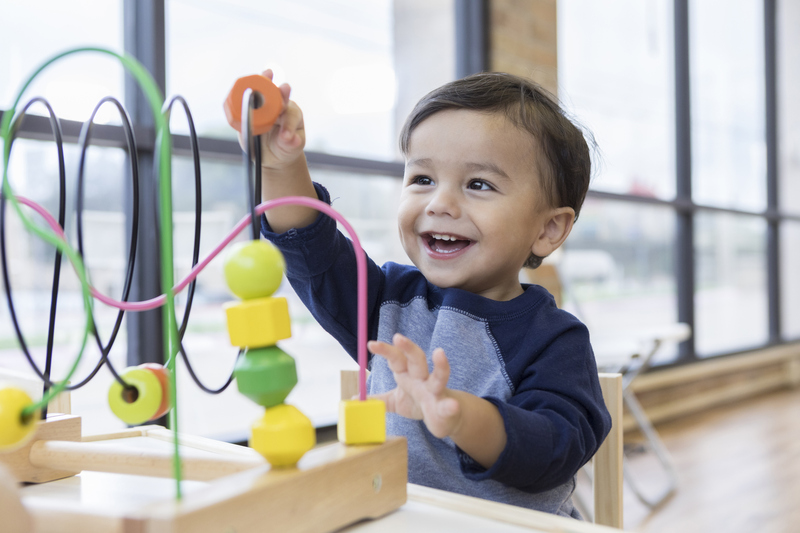 In fact, much about the practice concerning pediatrics in South Miami involves helping parents pick out car seats, potty training, and helping young children with good sleeping habits. Nevertheless, pediatricians offer a crucial service for parents that may worry about numerous mild, seemingly serious concerns. Most of the time, when things get truly frightful for parents, a pediatrician stays calm. Children may experience things like seizures due to mild-to-moderate fevers. This situation often appears very terrifying. However, once a pediatric specialist can rule out the serious, scary issues, this situation isn’t often a very big deal. The primary role of pediatrics in South Miami is sorting out children with potentially dangerous conditions from those that demonstrate problems that typically subside over time. This involves another crucial skill: explaining to parents why no cause for worry really exists. Unfortunately, the tricky part resides in the subtle differences. Pediatricians simply cannot afford to ever let their guard down. Every now and then kids do get sick. Sometimes, they get really sick. The important thing is to accurately recognize sick children while taking swift, appropriate action. This could mean the difference between life and death. Fortunately, if a pediatrician does their job right, the child will ordinarily get better, even those that impart very serious symptoms. What is Pediatrics in South Miami? Pediatrics represents a branch of modern medicine that handles the health and medical care of infants, children, and adolescents up to the age of eighteen. The word itself means “healer of children,” derived from two Greek words. A pediatrician will serve a child’s physician that offers not only medical care but additionally preventative health services for healthy children. This medical specialist will manage a child’s physical, mental, and emotional well-being during each stage of their development regardless of illness or health. The aim of pediatrics in South Miami is reducing infant and child rate of death, in addition to controlling the potential spread of infectious disease. Pediatricians also promote healthy lifestyles to encourage a long, disease-free life while helping ease child-centric problems and adolescents. Pediatrics in South Miami is a collaborative specialty focused entirely on child well-being. These doctors must work closely in harmony with other specialists and healthcare providers to truly help children that experience issues. How Does Pediatrics Vary from Adult Medical Treatment? Pediatrics remains different from adult medicine in more ways than one. The small system of an infant or child remains vastly different physiologically from an adult. For this reason, treating children involves far more than treating a miniature version of an adult patient. Pediatrics in South Miami might concern congenital defects, genetic variances, and developmental issues. These situations remain more troubling to pediatricians than PCPs that treat adults. The medical specialty also imparts numerous different legal issues in pediatrics over conventional, adult medicine. A child is a minor, and in most jurisdictions, they cannot legally make decisions for themselves. For this reason, issues of guardianship, privacy, and legal responsibility permeate any pediatric procedure. Nevertheless, pediatrics in South Miami remains a very specialized facet of modern medicine that is very serious, as well as very important. For many, it even represents the most important decision they make throughout their lives. After all, choosing the best possible pediatrician for a child’s needs reflects a choice that imparts various benefits and consequences that may affect a child throughout their entire life. With our team from HealthCare Now, our patients come first. This includes even very young pediatric patients. We remain committed to offering the best possible medical care for every member of the family in a holistic, safe, and comfortable environment. Regardless if your child is sick, or simply needs a checkup, the HealthCare Now team can see them the same day. Any child’s health remains of preeminent importance. We closely monitor children during each phase of their life. To learn more about our professional dedicated team offering pediatrics in South Miami, contact HealthCare Now to schedule an appointment. We take pride in patient care, making it our first priority to ensure children remain on the course to optimal health and wellness.